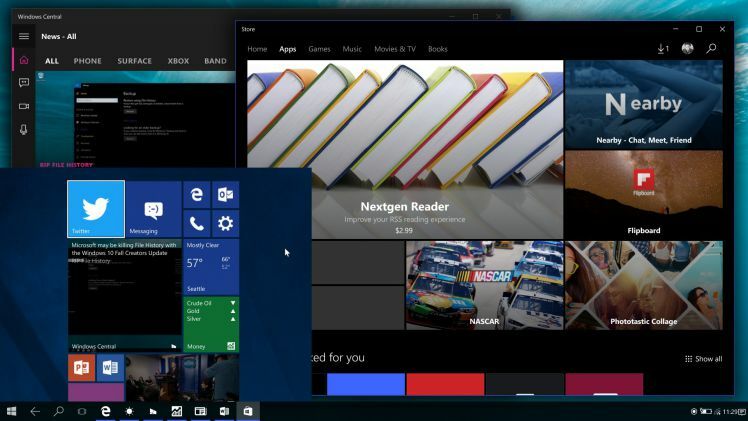 Microsoft is developing a unified CShell user experience, which can adapt the Windows 10 interface to work across a range of devices with different display sizes and types, eliminating the need for separate shells like Windows 10 Mobile. The company is testing CShell builds on phones internally for several months. Recently, Microsoft accidentally released Windows 10 builds 16212 to Insider members. The build was buggy and failed on many devices. However, for few, this build worked and shows CShell in action for the first time. 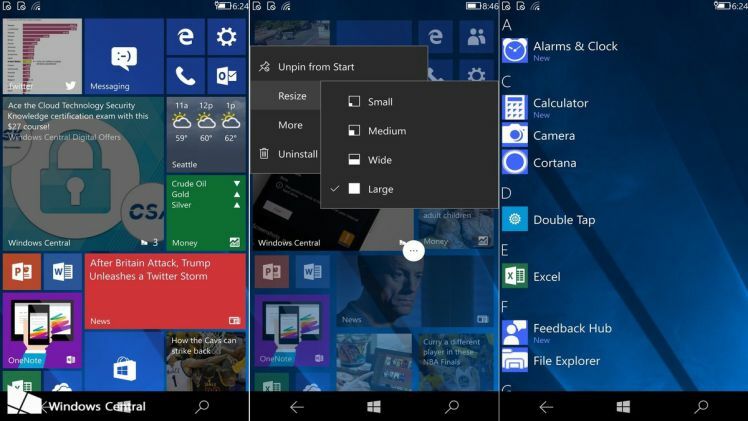 The CShell brings Start experience found on a PC, which includes that additional large Live tile size, context menus, and all the same options found in those context menus, such as the ability to turn Live tiles on and off for specific apps. 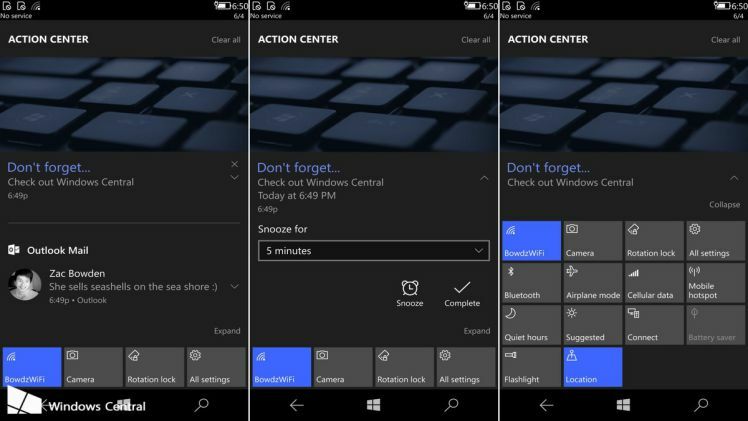 The Action Center is also shared across PC and phone with CShell. At the bottom, you can see your Quick Actions, all of which are customizable just like they are on PC. At the top, you see your latest notifications, which are also actionable and can be swiped away when needed. Check out the video for more details. Microsoft is also working with Qualcomm for a new generation of Windows 10 ‘Mobile PCs’ using Snapdragon 835 chips, along with eSIMs with the always connected feature. There is no official word from the company yet and but it will be interesting to see how many Windows Mobile devices will get the support for CShell. Recently released Windows 10 Mobile Creators Update only supports 13 handsets.